Blasting rapids. Sloshing waves. Steep turns and crazy angles. 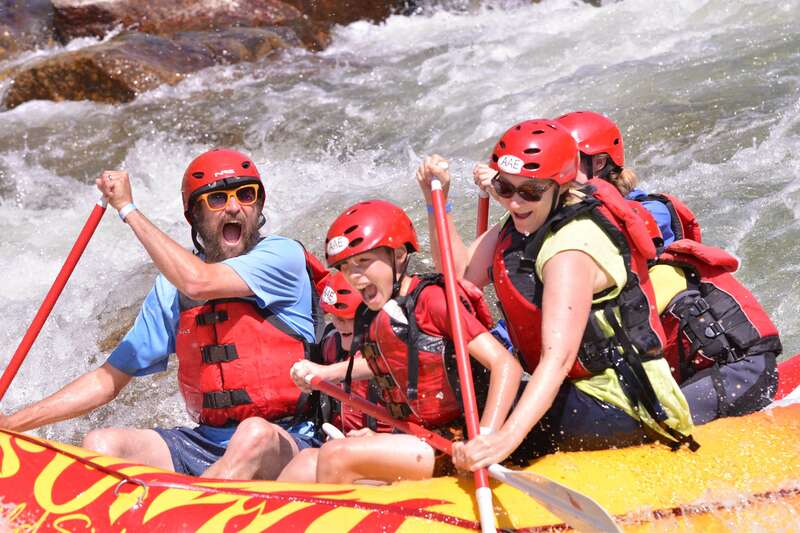 Yep, white water rafting can be totally insane. But you can also tone it down a notch to make it an amazing adventure that’s suitable for kids. While you can’t take kids younger than age 6, you can definitely make rafting a family-friendly activity for your older kids. 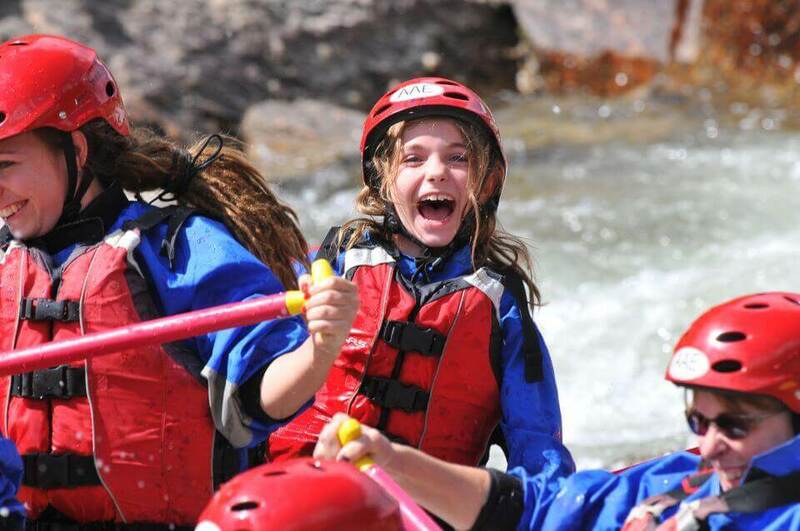 Here are six things to look for when scoping out the best white water rafting trip for kids. Rapids are rated by class, with numbers ranging from I to VI. The higher the number, the more extreme the rapids will be. Class I is an ideal place to start for kids. It’s the novice level with small waves, few obstructions, and calmer waters. Class II takes you to the beginner level, with straightforward rapids and wide, straight channels. Class III is another pick for older kids with a slightly higher sense of adventure. Water levels and conditions can vary throughout the year, with the rate of flow indicated by CFS, or cubic feet per second. This number outlines the volume of water that flows each second. The friendliest CFS for kids would be the lower flows around 500 to 600 CFS. A CFS of about 1,500 is really cranking, while a CFS of 2,500 or more is something even adults should avoid. Even though many white water rafting trips will leave as scheduled in rain or shine, you’ll probably have more fun with kids in the sunshine. Warm temperatures, sunny skies, and little to no wind are ideal conditions for rafting with kids. Choosing an experienced guide, like the ones at American Adventure, gives you peace of mind that your entire family is in good hands, especially the kiddos. Trained guides will be quick to lay down the ground rules for the trip, and equally quick to make sure everyone follows them. They also have astounding observational skills and talent for keeping an eye on their passengers to ensure the utmost safety. Kids get antsy no matter where they are, and, believe it or not, this can even apply to a white water rafting adventure. Keep your time on the raft limited to about three hours at a stretch. A break for lunch, romping, and play can be a much-needed break for antsy children. While you can’t really eat anything while you’re on the raft, you do want to make sure your kids don’t get hungry and cranky during the adventure. Picking a trip that includes a riverside lunch as part of the outing can help keep hunger-induced crankiness at bay. White water rafting for kids can be just as spectacular as white water rafting for adults. Sure, you may be in for a gentler, softer ride than you’d otherwise choose, but the thrill you’ll see on your kids’ faces can be an awesome payoff indeed. Itching to give it a whirl? Check American Adventure Expedition’s white water rafting options.